Made these for my niece 7 Year Old birthday. Hope she likes it. 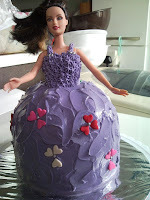 Maybe I should start a class to share my experience on how to make this Princess Cake.